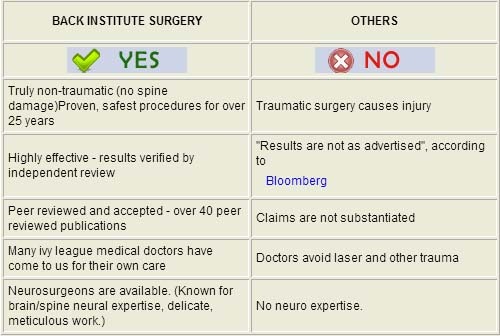 "Laser Spine Surgery" is misleading language used in promotional material from other centers. 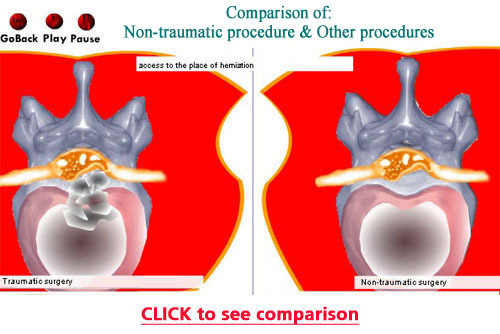 The unfortunate reality is that, many centers do a very traumatic access operation requiring a sizeable opening, stretching and tearing muscle, drilling and cutting out bone, ligament and joint. 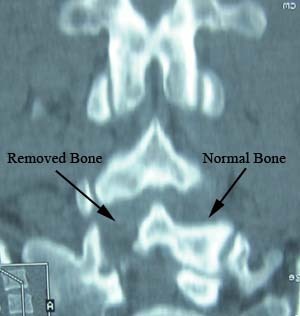 The bone, ligament and joint removed is typically completely normal and healthy, doing an important job in the spine. 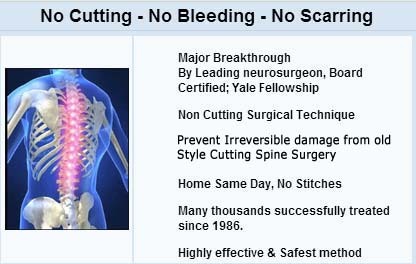 But, removing it causes permanent damage and there may be permanent symptoms because of this damage (Failed Back Surgery Syndrome). After doing this type of damaging opening, llaser is of no benefit. If used at all, it would be just in order to call it "Laser Surgery". 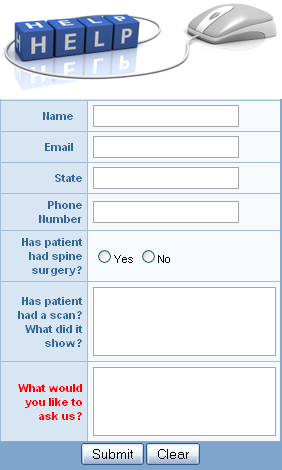 In fact, Laser does not actually do very much in the spine and therefore is only rarely needed in any spine procedure. 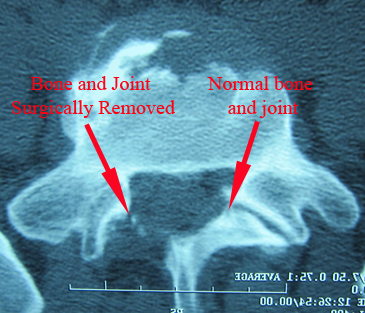 This operation has created permanent and un-necessary damage to what was normal and healthy bone and joint. The patient will never heal or recover from this surgical trauma. Joint cannot re-create itself. There was nothing wrong with the bone or joint before the surgery. The patient had only a herniated disc problem, which could have been treated without trauma to the normal parts of the spine. The patient was deceived; he had this operation after hearing about laser and arthroscopic surgery to treat his herniated disc. No laser was used in removing the bone. 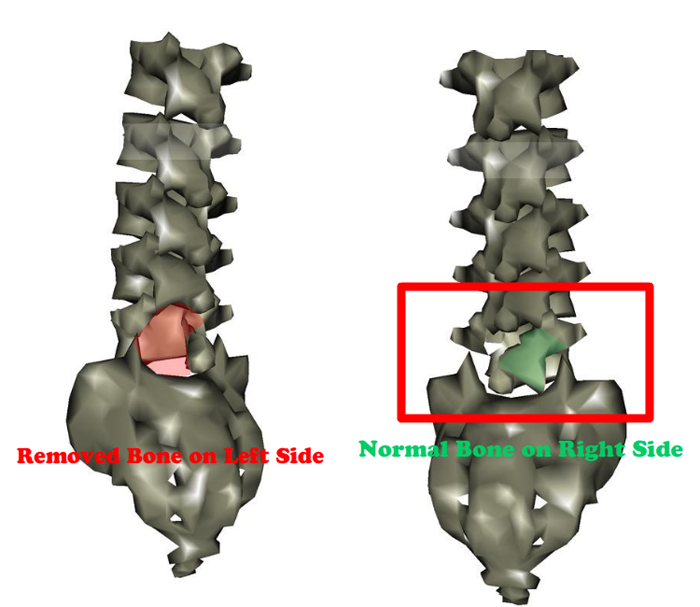 And the herniated disc--the only problem that needed treatment--was not even touched: it was not treated at all and so the patient was not helped by the surgery, though certainly he was harmed. He was told, of course, that this surgery was done "instead of open surgery." In reality, it was "open surgery" with more bone and joint damage than most surgeons make in their open surgery.